Giving back to the community is the most rewarding part of what we do. These are a few of the organizations that we proudly participate with annually. 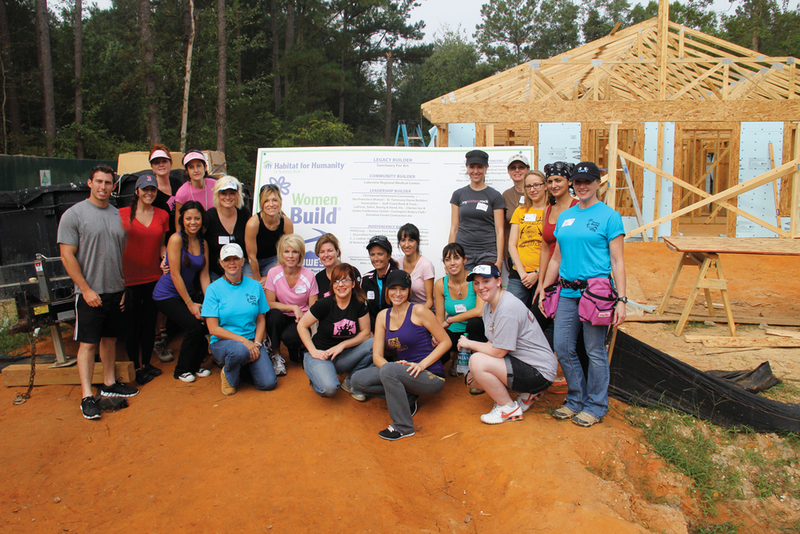 Every October, we participate in the Habitat for Humanity’s women Build. The H2O team helps build houses for families in need. The H2O team participates in the annual Heart of Fashion Show which benefits the pediatric initiatives of St. Tammany Parish Hospital. The Look of Fashion, hosted by H2O Salon at the Mandeville location, donates a portion of earnings to the St. Tammany Hospital Foundation. Yearly, H2O Salon Northshore participates in a month-long fundraising effort during Alzheimer’s Awareness Month. The campaign includes several promotions in which all proceeds are given to the local chapter of the Alzheimer's Association. During the campaign, H2O gives 100% of the proceeds from select services and merchandize to the Association. Additionally, clients and friends donated $25 or more to receive a piece of purple in their hair (similar to a small extension—that could last weeks or could be easily removed). During the fundraising efforts, the salon has a special day in which all proceeds from the entire salon are donated to the Alzheimer's Association. Each year, hundreds joined the H2O team, the Honey Bunch, for the annual Walk to End Alzheimer’s. Over the past few years, our team has raised $80,000+. The Honey Bunch Team was a Top 15 fundraiser nationwide. We participated in the annual Harvest Cup Polo Classic organized by the Junior League to raise money for charities throughout St. Tammany.